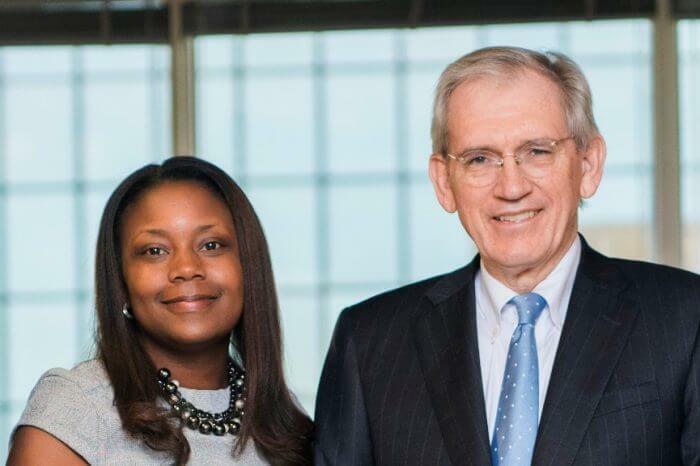 PNC’s Asset Management Group serves clients from approximately 90 offices in 17 states plus the District of Columbia with assets under management over $140 Billion. PNC has one of the country and industry’s largest and most successful multi-family offices, Hawthorn, PNC Family Wealth® serving the ultra-affluent. 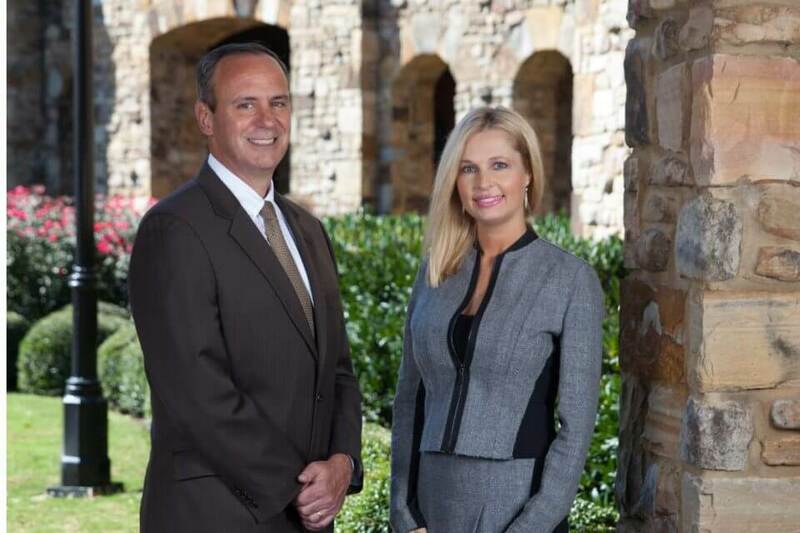 PNC is privileged to have offices and services in the state of Alabama where Mike Simile, Senior Vice President and Senior Relationship Strategist of Hawthorn, PNC Family Wealth® and Heather Baker, Vice President and Relationship Strategist, for PNC Wealth Management®, work closely together delivering Hawthorn and Wealth Management. PNC Wealth Management serves high-net worth individuals and families with investable assets over $1 million. Hawthorn Family Wealth, services ultra-high-net worth families in excess of $20 million in investable assets. The PNC Wealth Management and Hawthorn models mirror each other with a comprehensive team approach. Both offer a broad range of investments, financial planning, trust and estate administration and private banking services. Clients enjoy access to a team of financial professionals committed to finding solutions that fit their financial needs with individual attention. By bringing together experienced advisors with a suite of services, the team is able to deliver solutions customized to the financial goals of each client. Hawthorn Senior Relationship Strategist, Michael Simile, describes his role, “It’s my responsibility to manage a number of challenges for families, anywhere from issue spotting to accessing and managing resources on their behalf. I’m the generalist. Quarterback is an overused term, but it is well representative of what I do. And this can be both internal and external. 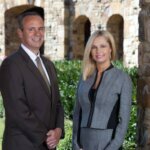 We have families who have an attorney or CPA unrelated to Hawthorn, and we help manage those relationships as well, for the benefit of the client.” Simile oversees teams that have very specific roles. In addition, Hawthorn manages family foundations for those who choose to set up private philanthropic foundations. The team retains an entire group that is dedicated to large family foundations that handle grant writing, reviewing grant requests, managing the actual assets inside the foundation and guiding the family through related governance issues. Wealth Management Relationship Strategist, Heather Baker, described herself as the generalist for her team. “My primary role is to understand clients, to map out a plan for their relationship and to make certain we’re utilizing our specialists effectively. Easing the complexities of wealth and committing the appropriate resources to build deep and enduring relationships is my personal goal.” Baker recognized the specialists on the PNC Wealth Management Team: Brad Collins, Wealth Director, Guillermo Araoz, CFA, Senior Investment Advisor, Harvey Hutchinson III, AEP® CFP®, Senior Wealth Strategist, Dean Johnson, CTFA, Senior Fiduciary Advisor, Gary Sheffer, Senior Banking Advisor, and Renee Williams, Client Solutions Specialist. “Financial planning takes high priority for our clients,” Baker said. “It’s so important to us that we have a Wealth Strategist/Planner as a part of each client’s team. Our Wealth Strategist is an estate planning attorney with a tax background as well as being a certified financial planner®, therefore well-versed in a number of different aspects that are important to our clients.” Most wealth management clients have aspirations for charitable giving. Some clients have specific charities or causes in mind that they want to support. In this situation, the team at PNC Wealth Management works with our clients to build a plan to implement gifting strategies while maximizing tax advantages. For clients who want to give through community foundations or funds, PNC Wealth Management offers The Fund for Charitable Giving. The fund provides donors with financial and administrative advantages to making charitable donations. The goal is to provide clients with the ability to balance their philanthropic desires with tax and estate planning. Donors can contribute funds when it makes the most sense for them, gain an immediate tax deduction and advise The Fund later about the proposed recipients of their gifts. Additionally, businesses can use The Fund as a repository for community support efforts, channeling funds and relying on the fund’s administrators to take over the paperwork. Our long history is a testament to the confidence placed in us by the families we serve. From investment consulting and financial planning, to foundations and multi-generational trusts, our wealth management services span even the broadest portfolio of financial interests, which means your legacy is in good hands – today and for generations to come. For more information on our services please contact Heather Baker (256)564-5758 or Michael Simile (216)910-0530. The material presented in this article is of a general nature and does not constitute the provision by PNC of investment, legal, tax, or accounting advice to any person, or a recommendation to buy or sell any security or adopt any investment strategy. Opinions expressed herein are subject to change without notice. The information was obtained from sources deemed reliable. Such information is not guaranteed as to its accuracy. You should seek the advice of an investment professional to tailor a financial plan to your particular needs. For more information, please contact PNC at 1-888-762-6226. The PNC Financial Services Group, Inc. (“PNC”) uses the marketing name PNC Wealth Management® to provide investment, wealth management, and fiduciary services through its subsidiary, PNC Bank, National Association (“PNC Bank”), which is a Member FDIC, and to provide specific fiduciary and agency services through its subsidiary, PNC Delaware Trust Company or PNC Ohio Trust Company. Standalone custody, escrow, and directed trustee services; FDIC-insured banking products and services; and lending of funds are also provided through PNC Bank. This report is furnished for the use of PNC and its clients and does not constitute the provision of investment advice to any person. It is not prepared with respect to the specific investment objectives, financial situation, or particular needs of any specific person. Use of this report is dependent upon the judgment and analysis applied by duly authorized investment personnel who consider a client’s individual account circumstances. Persons reading this report should consult with their PNC account representative regarding the appropriateness of investing in any securities or adopting any investment strategies discussed or recommended in this report and should understand that statements regarding future prospects may not be realized. The information contained in this report was obtained from sources deemed reliable. Such information is not guaranteed as to its accuracy, timeliness, or completeness by PNC. The information contained in this report and the opinions expressed herein are subject to change without notice. Past performance is no guarantee of future results. Neither the information in this report nor any opinion expressed herein constitutes an offer to buy or sell, nor a recommendation to buy or sell, any security or financial instrument. Accounts managed by PNC and its affiliates may take positions from time to time in securities recommended and followed by PNC affiliates. PNC does not provide legal, tax, or accounting advice unless, with respect to tax advice, PNC Bank has entered into a written tax services agreement. PNC does not provide services in any jurisdiction in which it is not authorized to conduct business. PNC Bank is not registered as a municipal advisor under the Dodd-Frank Wall Street Reform and Consumer Protection Act (“Act”). Investment management and related products and services provided to a “municipal entity” or “obligated person” regarding “proceeds of municipal securities” (as such terms are defined in the Act) will be provided by PNC Capital Advisors. Securities are not bank deposits, nor are they backed or guaranteed by PNC or any of its affiliates, and are not issued by, insured by, guaranteed by, or obligations of the FDIC, the Federal Reserve Board, or any government agency. Securities involve investment risks, including possible loss of principal. “PNC Wealth Management” is a registered service mark of The PNC Financial Services Group, Inc. Investments: Not FDIC Insured. No Bank Guarantee. May Lose Value. © 2017 The PNC Financial Services Group, Inc. All rights reserved. Campbell Guin: Tenacity. Tradition. Trust.